So we started the day by saying ‘farewell’ to a lovely couple we met here at the White Lions B&B, Gloria and Jay, from Houston, Texas. 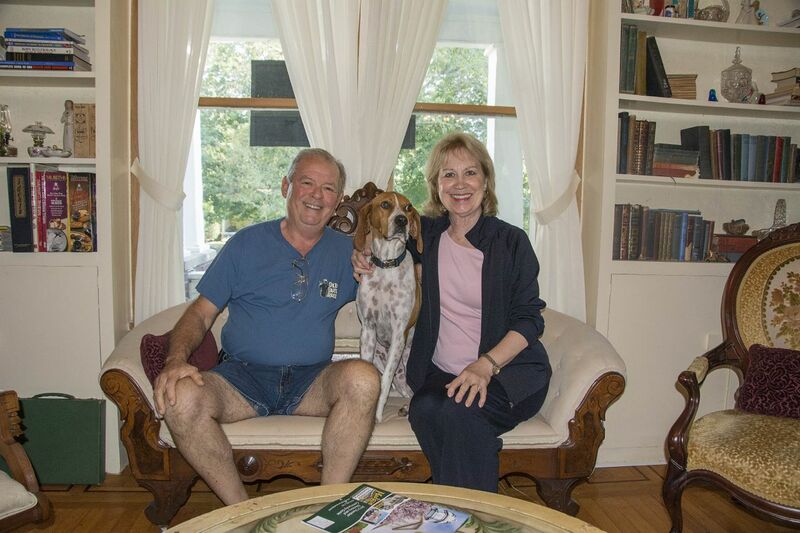 The B&B only opened in May and Gloria and Jay were the first guests to ever stay at this wonderful home. Hank, the dog lives at the B&B. We then went to see John Wayne’s birthplace. 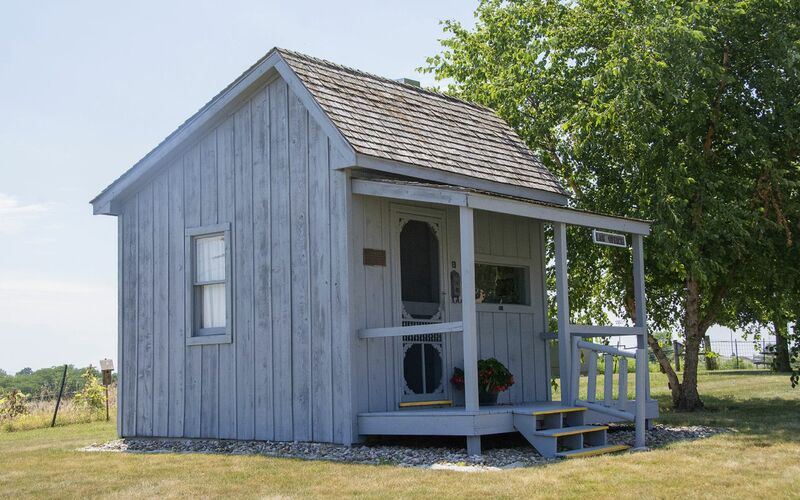 He was born here in Winterset on 26 May 1907 weighing in at a hefty 13 pounds! 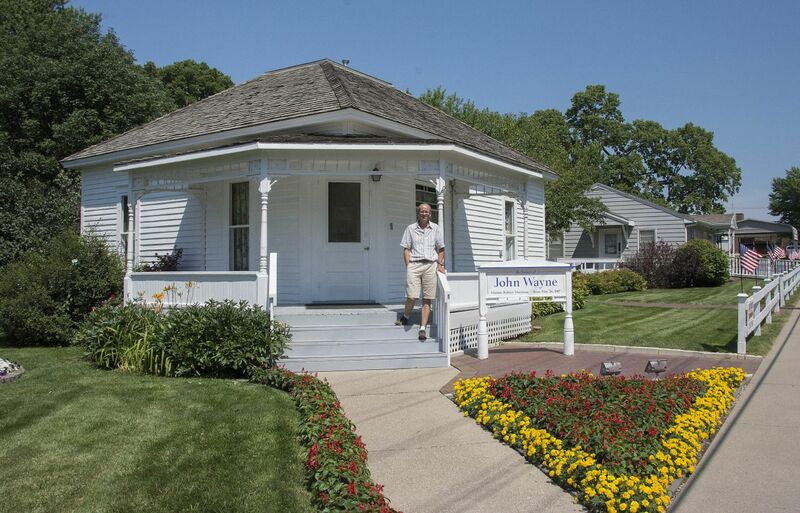 His Dad was a pharmacist who worked on Winterset’s town square before opening his own pharmacy business elsewhere. As some of you will know, John was born Marion Robert Morrison. He hated his name because he was teased at school for having a girl’s name. He had a very large dog called ‘Duke’ and he used to hang out at the local fire station because the men there were always nice to him. They didn’t know what his real name was but knew his dog, so they always used to say “here comes big Duke and little Duke”. He went home and told his parents that from then on he wanted to be called ‘Duke’ and that’s how he got to be called ‘The Duke’. 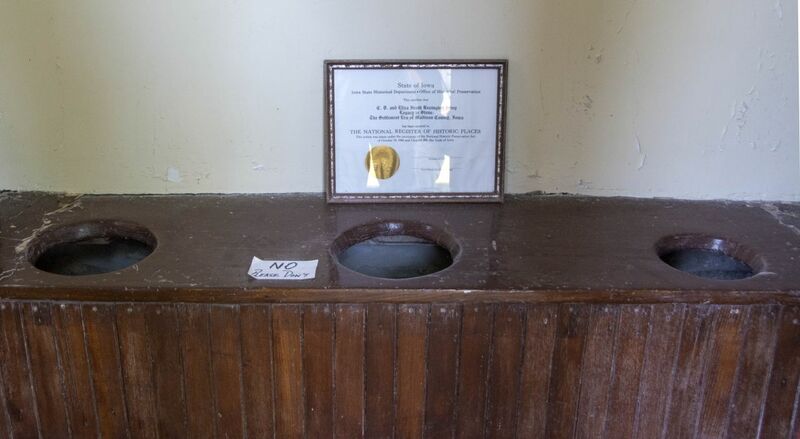 The house has had some famous visitors in the past, one of them being President Ronald Reagan. 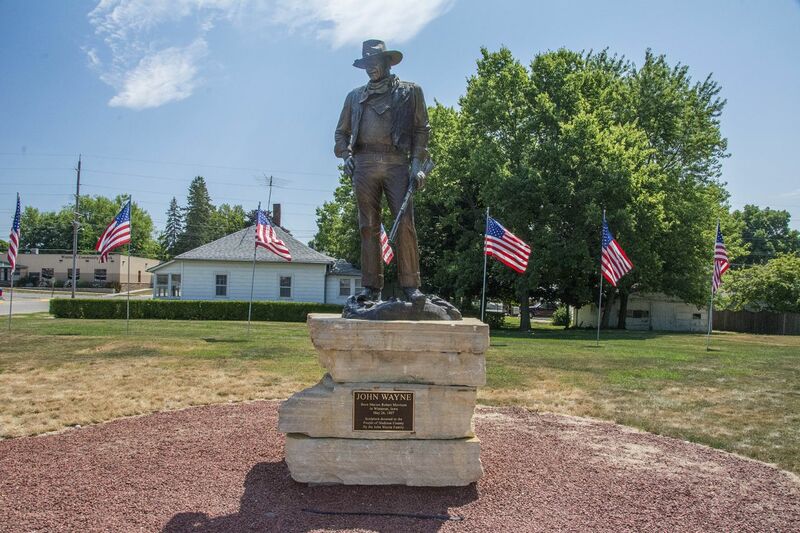 The town is currently raising funds to open a John Wayne Museum. 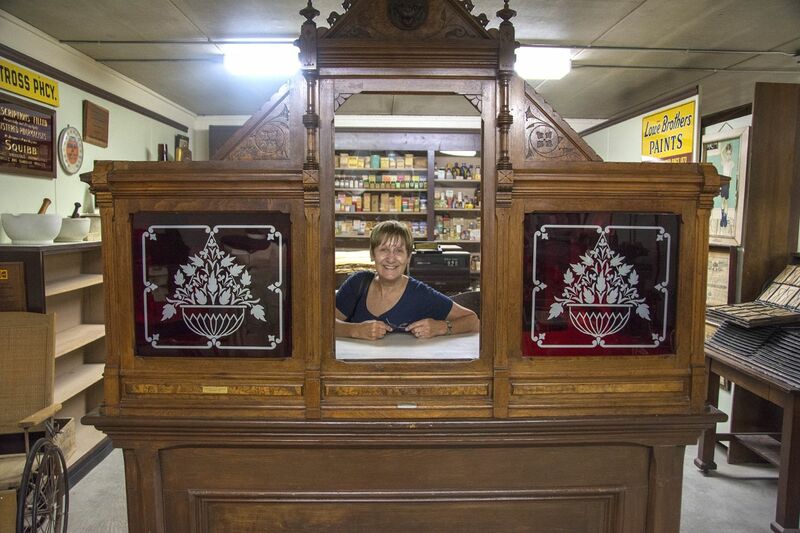 Me in the pharmacy, it is said that President Theodore Roosevelt was served through this window! 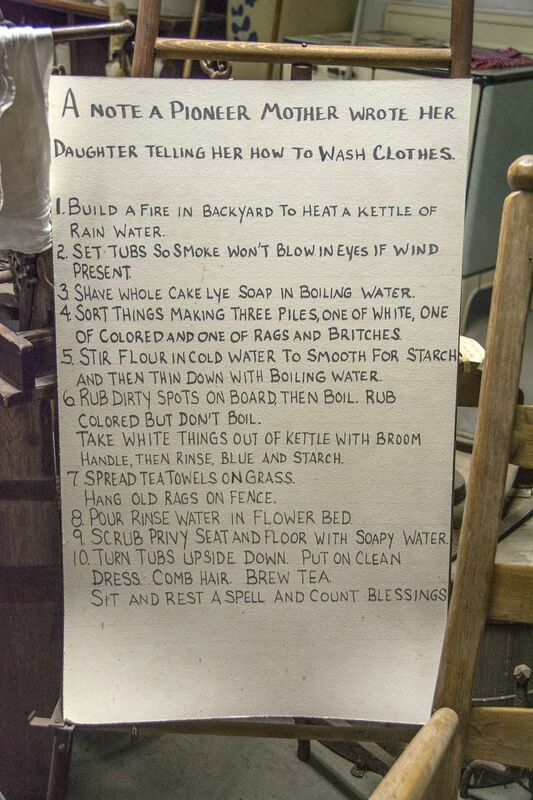 Our next ‘port of call’ was the Madison County Historic Complex or “History on the Hill”. 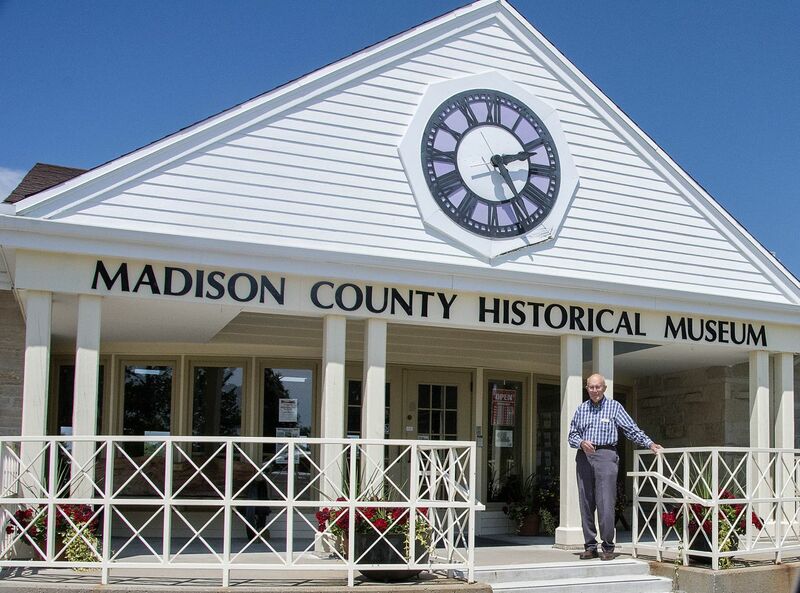 From its humble beginning in 1904, the Madison County Historical Society has developed into a complex which includes 14 buildings located in 18 picturesque acres. We were advised to make sure we visited the complex before we left Winterset and we are so pleased that we did. It’s a magnificent place full of historical artefacts and old buildings. 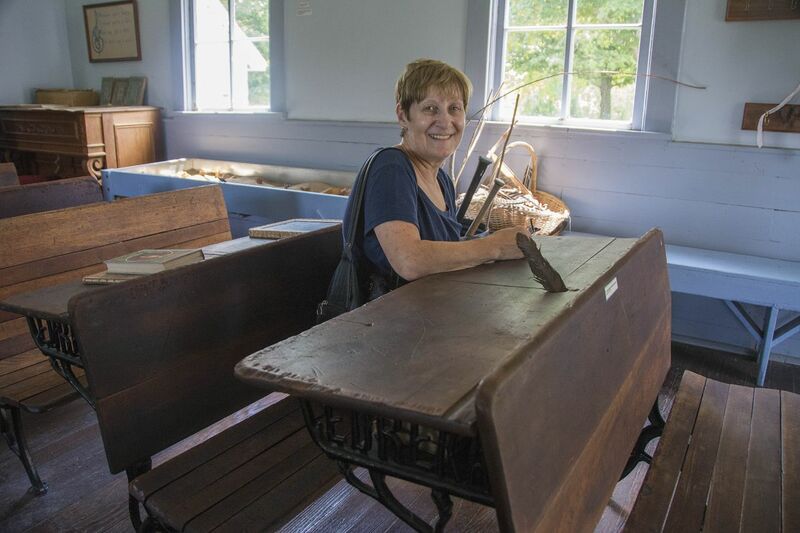 We were very lucky to be guided around the museum by Bob Fogler, a young man of 84 years, who also told us about his family and lovely wife, Marjory, who showed us around the show piece of the complex, the 1856 Bevington-Kaser House which was constructed by C.D. “Doc” Bevington. The house has been restored and furnished in Victorian richness. 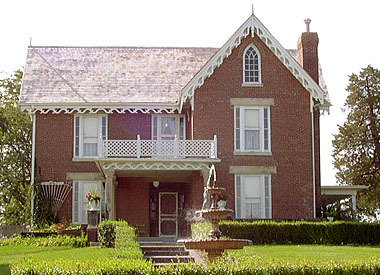 The Bevington-Kaser House and the Limestone (three-hole) Privy are on the National Register of Historic places. 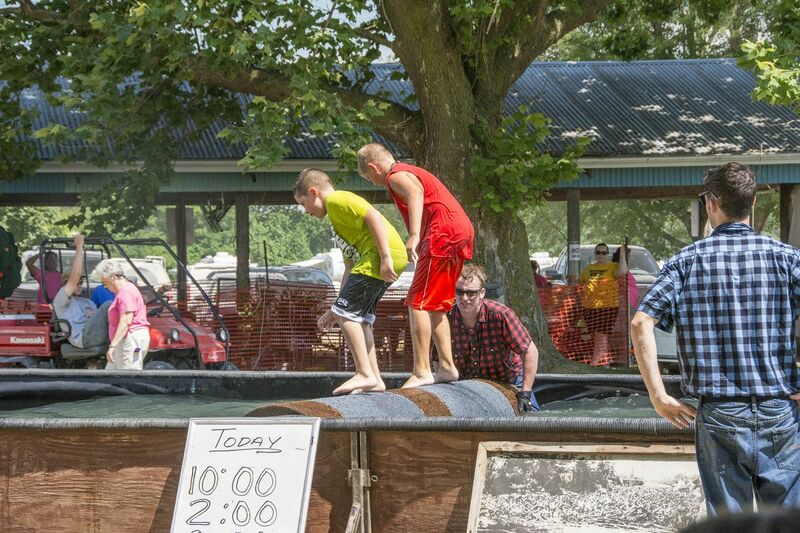 After taking a history lessen we made a quick stop by the County Fair and one of the events taking place was log rolling. Rather them than me, but I guess it was a quick way to ‘cool off’, it’s been rather hot today. 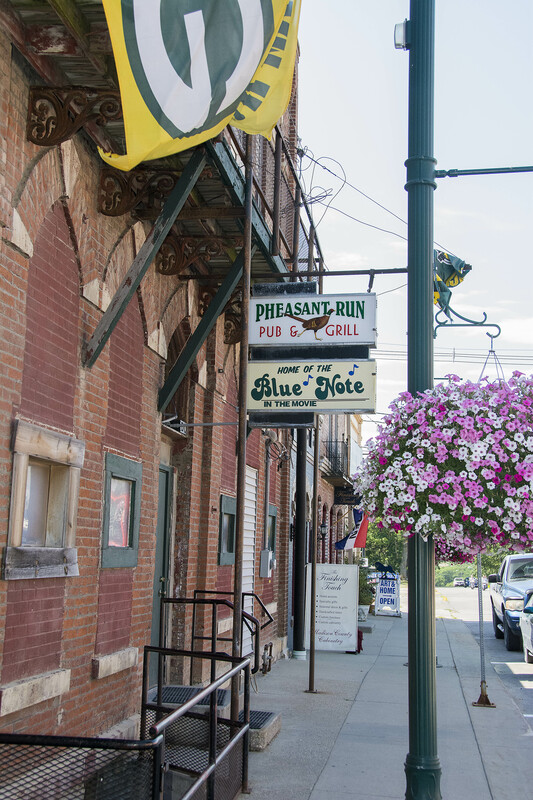 Just to finish off, at the bottom of the post is a photo of the lovely courthouse here in Winterset and one other photo related to ‘The Bridges of Madison County’ film, the ‘Blue Note’ lounge (or it’s really called the ‘Pheasant Run Pub and Grill’). This is where Francesca and Robert ‘got out of town’ for the evening to where no-one would know them. 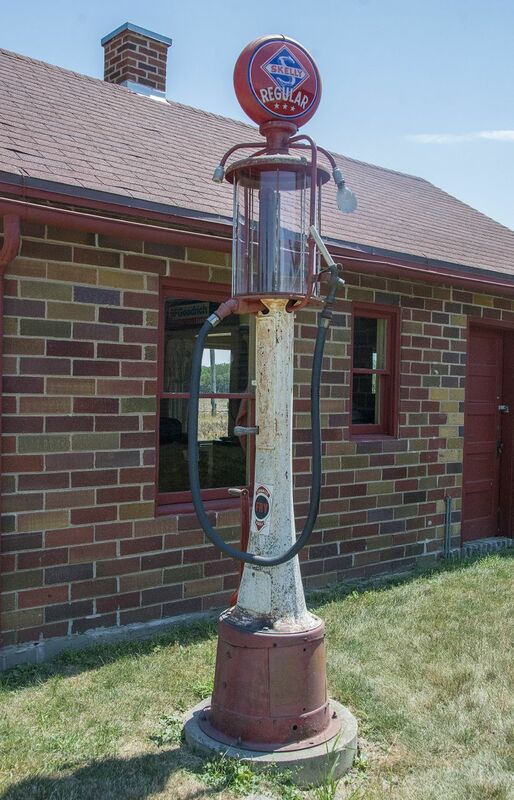 The interior was used for the scene but the outside shot was actually a tractor garage located in Winterset’s City Park! The powers of Hollywood!! Tomorrow we leave Winterset for another film location, this time in Le Claire, Iowa, to see the baseball field in the film ‘Field of Dreams’. How exciting!! You did such a good job with your itinerary! Looks lovely in Winerset! I can’t believe you didn’t try the log rolling!! ha ha! 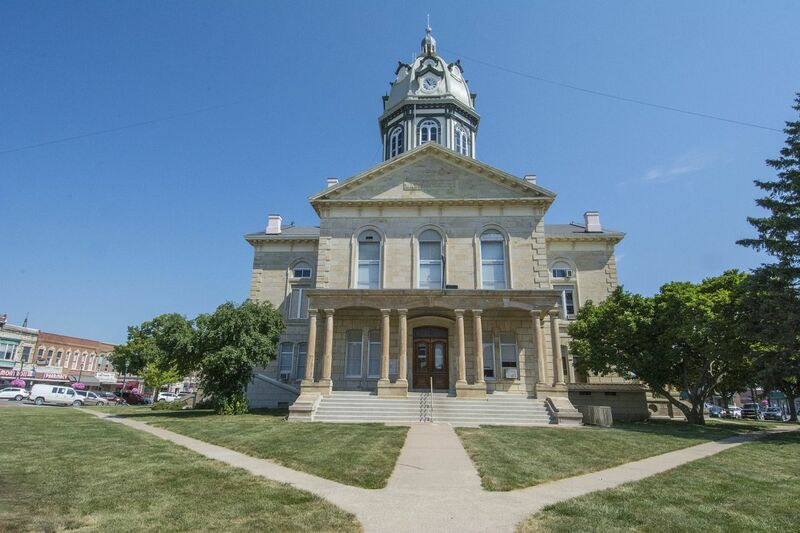 Yes, Winterset was lovely Nat and we hope to return one day. Us and log rolling ……….. I don’t think so, although it was very hot so it would have been a good way to cool off.